I must say this Elegante fit like a glove. The esthetics were beautiful. Nothing about it I don’t like......EXCEPT......perhaps the “movement”. Not exactly what I thought my first FP Journe would be however something about the watch is very charming. 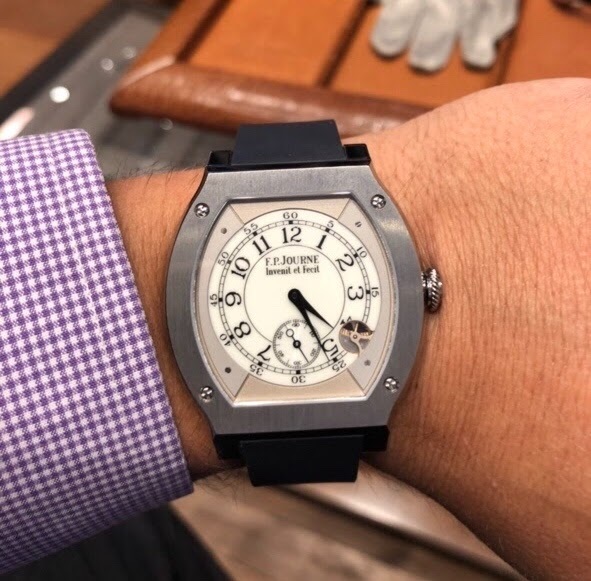 Very light on the wrist and very much a Journe by the dial and case. Thoughts on the timepiece??? I have the same issue as you with this watch .